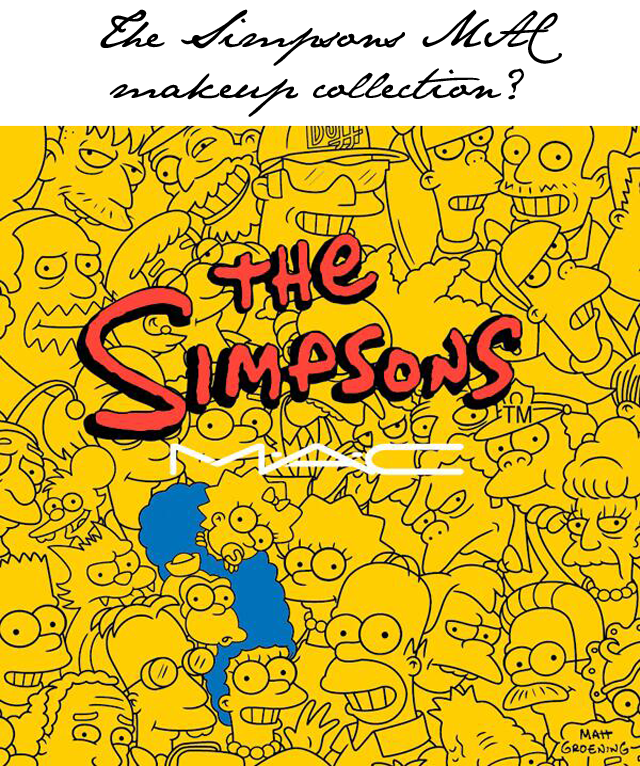 The Simpsons and MAC cosmetics collaborating? Well this is certainly unexpected information for an early Wednesday morning. Can someone please check the calendar and make sure it isn't April 1st? MAC cosmetics have taken to Twitter to share a rather surprising announcement. To celebrate the 25th anniversary of The Simpsons, it seems the cosmetics company is launching a collection in collaboration with the cartoon character stars. Say what? While no pictures have been released, besides the teaser above, we are wondering what on earth this collection will look like. Will there be a MAC blue eyeshadow to match the colour of Marge Simpson's hair? Perhaps there will be a yellow foundation to make you up to be an actual Simpsons character in the flesh. Or maybe, just maybe, they'll give us a mascara that will provide big beautiful lashes like that of Lisa Simpson? Whatever is coming our way, you can expect to find it in stores this fall. Just on time for fashion week it would seem.